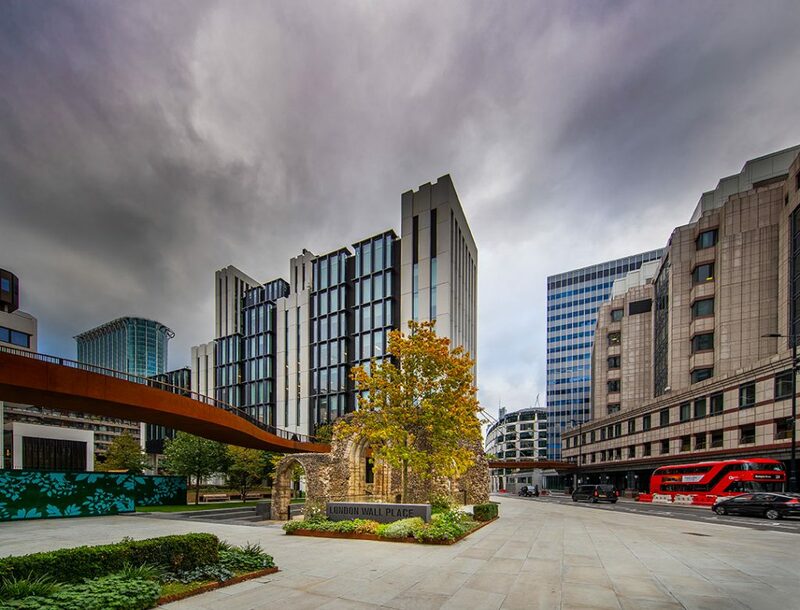 Sitting within the roman relics of the city’s original London wall, with remnants of the medieval church, St Alphages, is an acre of public realm with curved and winding elevated walkways that link the two buildings at London Wall Place. The two office blocks total a space of 500,000 sq. ft a space for some 5,000 employees. One London wall place stands at 12 storeys high whilst two London Wall place, the highest of the two, stands at 16 storeys high. 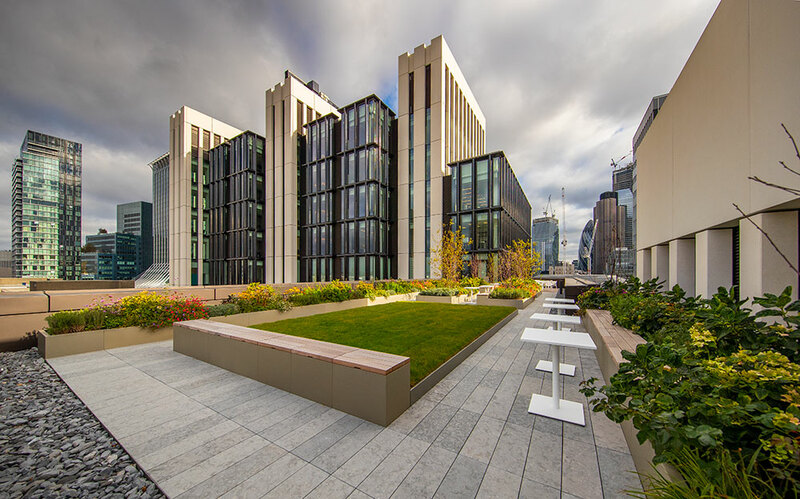 Europlanters have been privileged to work alongside Frosts Landscapes on One London wall place and its landscaping on nine terraces over seven floors. 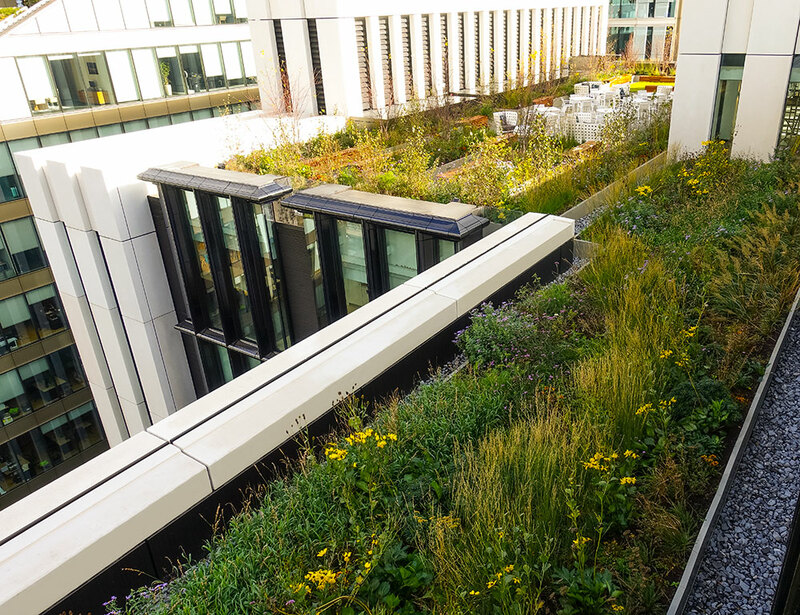 This Included two wildflower green roofs, one 427sq m and another 120sqm. 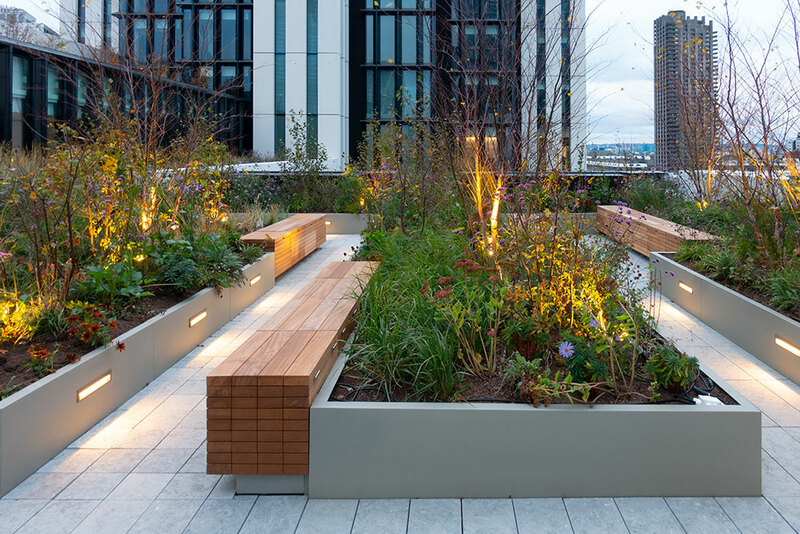 The project required 406 large planters to create various shaped planting beds and 161 hidden storage benches on the several levels. 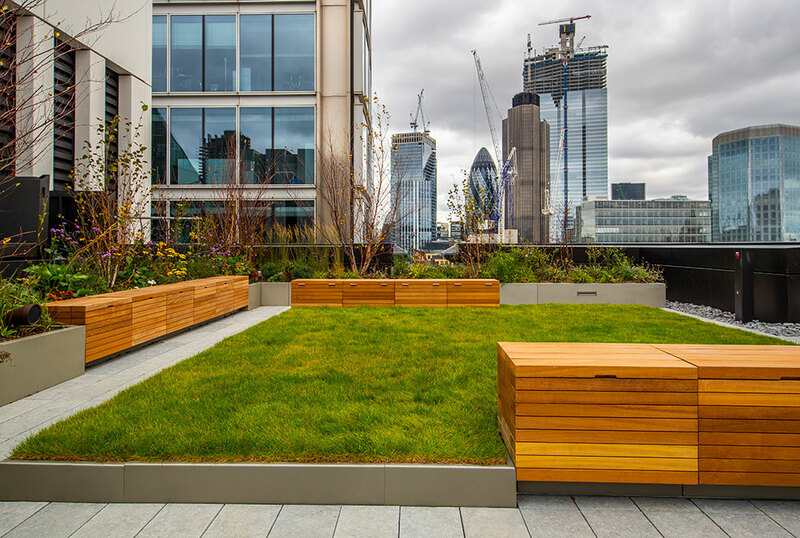 To complete the project over 2 tons of resin and 400lts of paint was used for the planters alone and more than 500mts of Iroko timber was used to clad the benches. 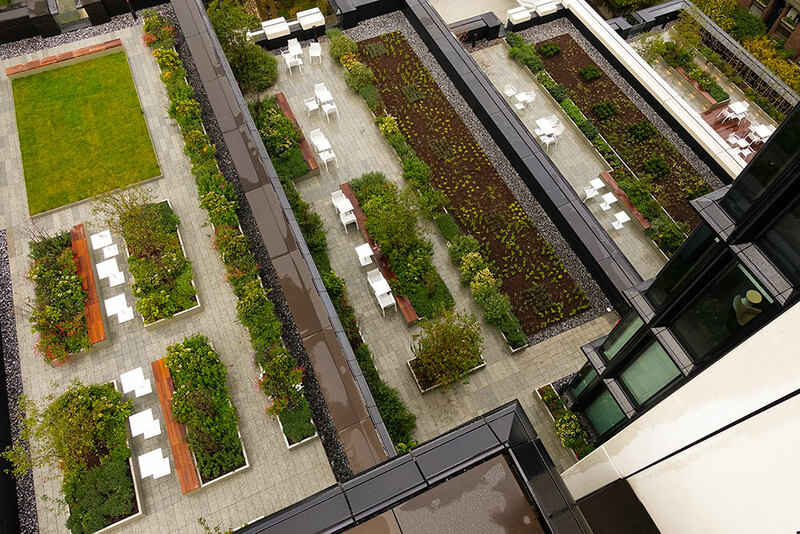 The terraces were carefully designed with nature and the wellbeing of the staff at the centre. 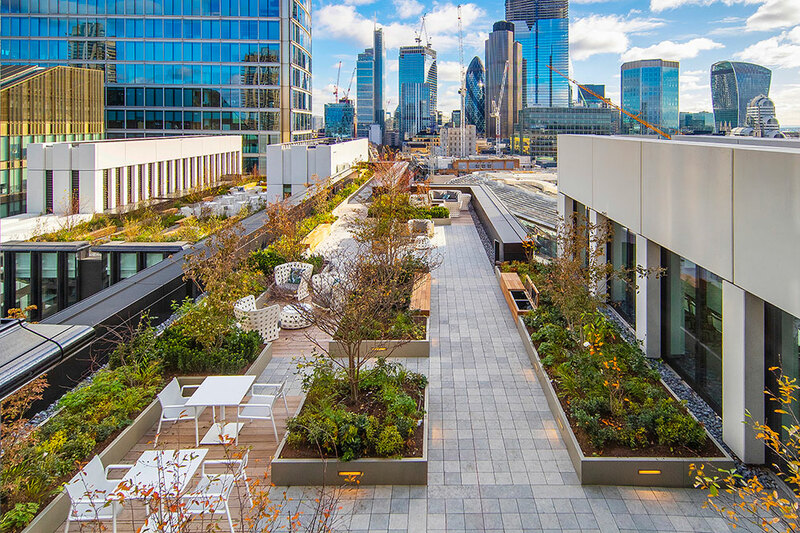 Designed with large break out areas for staff to work and enjoy the views of the city’s skyline, whilst also enjoying the benefits of their natural surroundings. The planters were fitted with lighting to add ambience in the summer evenings and were sprayed in RAL 7048 a metallic finish to compliment the building. The Landscape Architect designed the benches having been inspired by stacks of wood in a timber yard. These benches also had sockets fitted for charging laptops and phones and were clad in iroko. 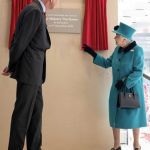 The project took several months to complete and in November 2018 opened by HRH Queen Elizabeth II. 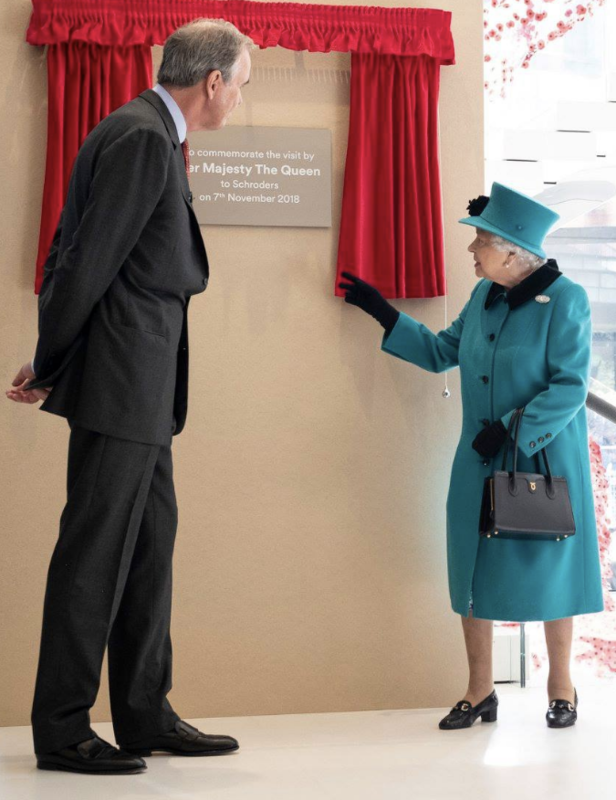 Having completed a tour of the new offices the Queen told traders she was impressed with the views from the 10th floor and joked that they would distract the staff.